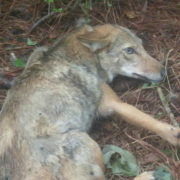 South Carolina has initiated a coyote bounty program. 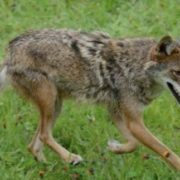 The state’s Department of Natural Resources is incentivizing hunters to kill coyotes with the hopes of reducing coyote populations. 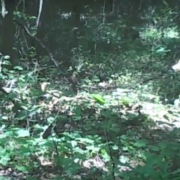 This is yet another sad example of a misguided attempt at controlling predator populations. 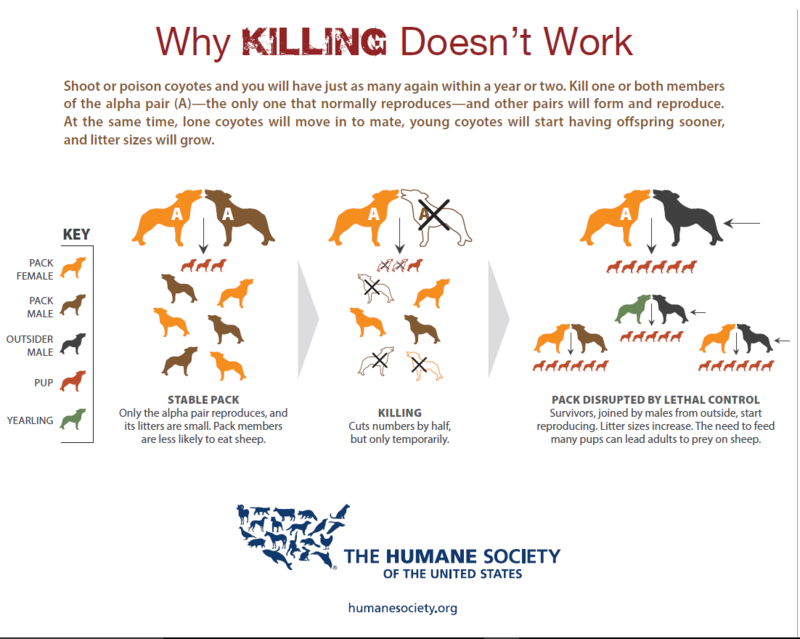 The accompanying graphic, which was produced by the Humane Society, shows why killing coyotes as a way to reduce their numbers doesn’t work. 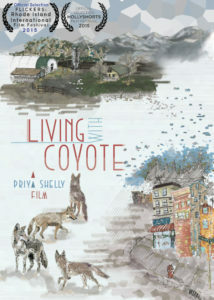 Living With Coyote, a short documentary by Priya Shelly, follows generational sheepherders and urban biologists in the American West who share a common topic of concern: coyote presence. 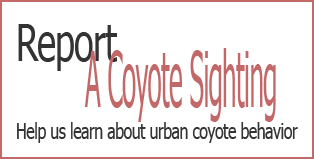 With rural coyotes predating on lambs in the Rocky Mountain ranges and urban coyotes feasting on garbage, small pets and fruit trees in suburban/urban areas, killing the problem coyote seems like a great quick fix. Contrary to this belief, there is no simple solution. Living With Coyote delves into the complexities of keeping our wild neighbors on the land that we share and raises awareness on the importance of human responsibility and stewardship. 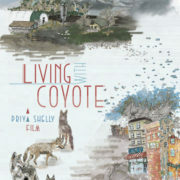 You can watch the 18-minute film here (http://www.priyashelly.com/livingwithcoyote/). 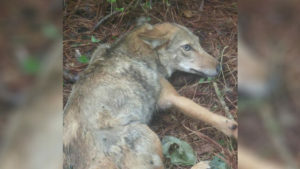 This story on CBS46.com is a prime example of what we call a “vicious cycle of trapping and killing,” which we hope can be minimized or avoided with the help of public education and awareness. 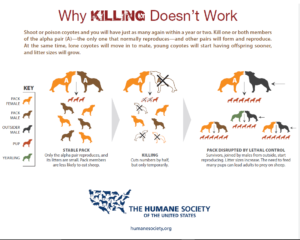 There are better and more effective ways to address human-coyote conflict. Read the comments on our Facebook page to see how these type of situations generate strong emotions among people.